Now this is a gorgeous look for girls this Spring Summer. A beautiful ivory dress by Roberto Cavalli Junior, made with lightweight silk and lined for added comfort. 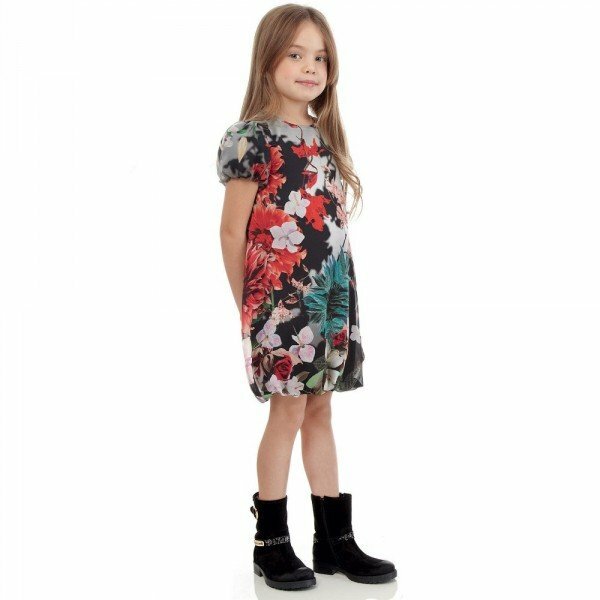 The front of this beautiful special occasions dress has a pretty 'Baroque' print featuring flowers and two colorful budgerigars, with a black trim around the hem. Complete the look with a pair of gorgeous leather sandals. Inspired by the Roberto Cavalli Women’s Collection featured on the Runway at Milan Fashion Week. Ships Worldwide.